What is the "Internet Of Things" (IoT) ? It means different things to different people, but we define it as a dedicated piece of hardware that does one job that is connected to a network. We build devices that collect and display data important to the success of your business. 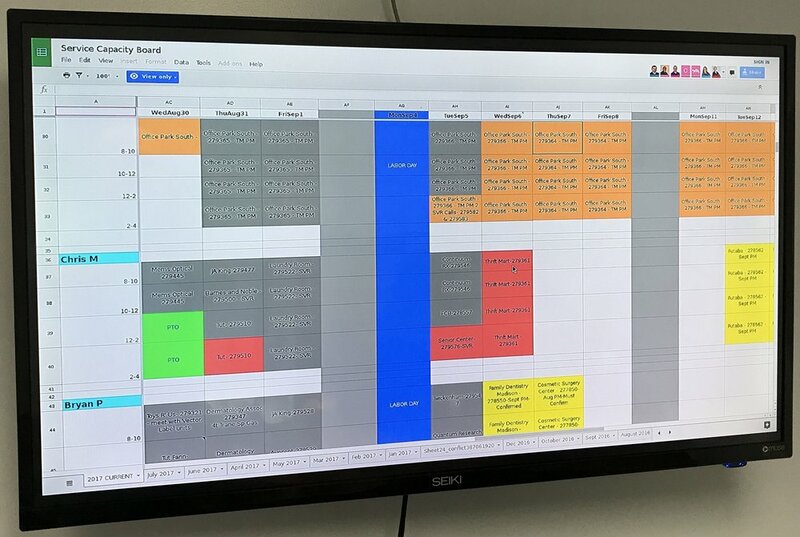 This could be anything from a temperature/humidity reporting device to a dedicated display showing an employee schedule via google sheets. The problem with these devices are lack of updates and lax security hardening. We build and manage IoT devices to fit your company needs. We monitor, update and fix issues with the device remotely. Instead of having an old dusty desktop that's full of security holes displaying your security cameras, replace it with a managed device that will fit on the back of the display and use a fraction of the power. Display employee work schedules, exam room patients, pet information in kennels or data that's important to your type of business on a managed device that stays secure and updated. We build custom data collectors with the sensors your company needs. Contact us with the specific needs of your company and we will work with you to build a solution.